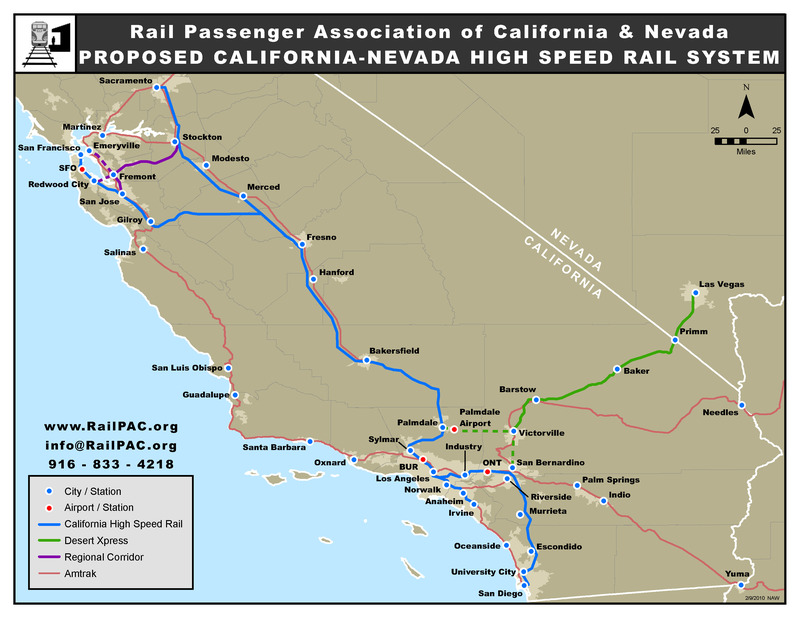 The RailPAC Mission: Passenger Rail advocacy, Publications…both print and electronic, Representation at regional meetings, and Rail education. Join us! 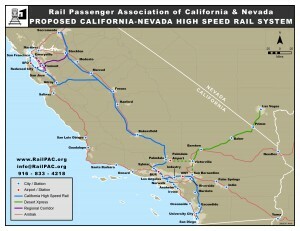 More memberships increase our strength in presenting the case for rail to policymakers at all levels! Here are the most recent posts pertaining to current issues. CONNECTIONS! It’s all about connections. Depending on your journey you may live close to a station that has a direct service to your destination. 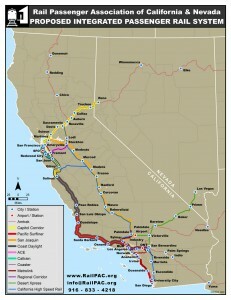 But there’s a good chance that you’ll need to transfer, from bus to train, light rail to high speed rail, Surfliner to long distance Amtrak. RailPAC’s campaign is all about connections between these modes so that all of us can enjoy mobility without the automobile. Our map attempts to portray the statewide system that we want to see over the next two decades. 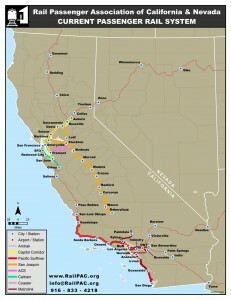 What it cannot show, but is equally important, is the electronic ticketing and information system that is needed to make passenger rail easy to use for 40 million Californians. 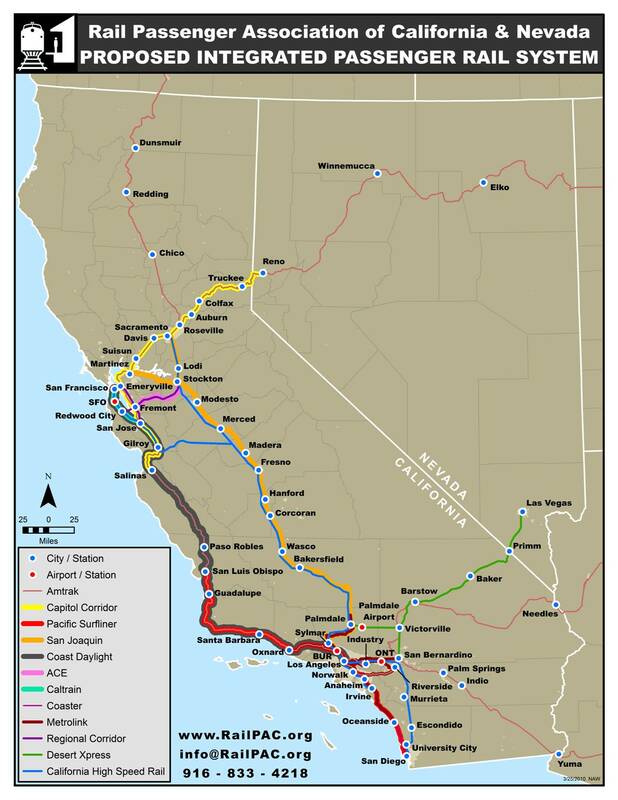 RailPAC is working with Caltrans, Amtrak, and all agencies involved in achieving the following goals for expanding and extending safe, reliable rail passenger service. We support adequate funding for these services and vigorous promotion of them so they may achieve economic stability through increased ticket sales. 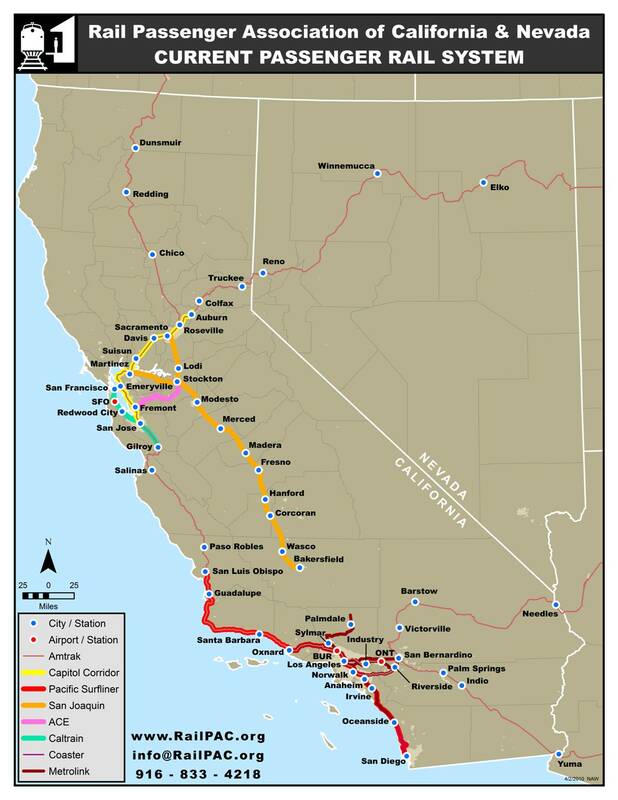 RailPAC advocates continue to support the following goals for improving the Amtrak system of long distance trains that enter/leave California.